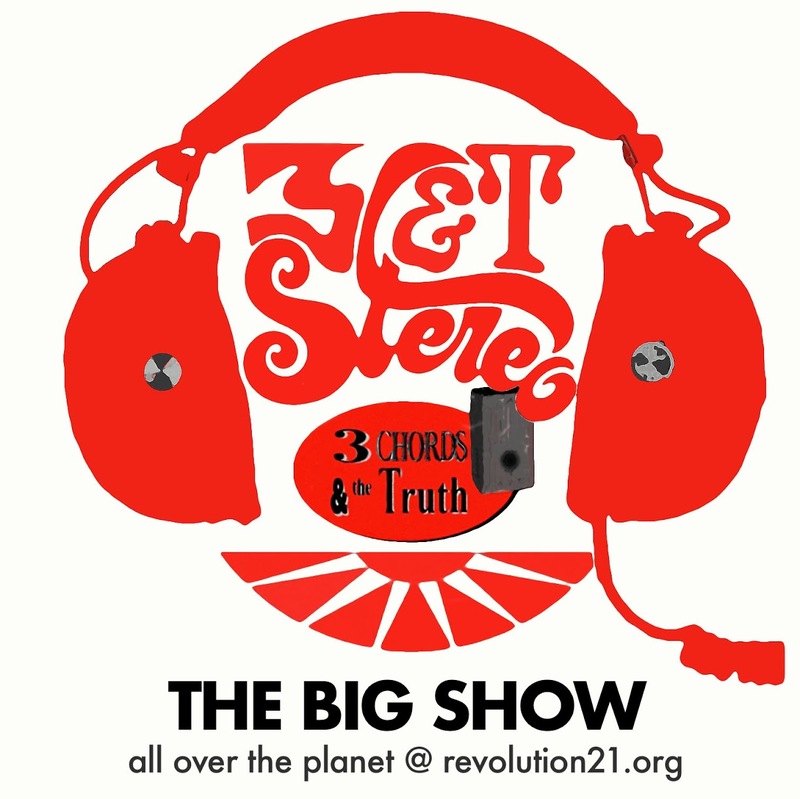 Revolution 21's Blog for the People: 3 Chords & the Truth: Colliding subcultures, or . . .
3 Chords & the Truth: Colliding subcultures, or . . .
. . . radio at a time far, far away. You know the spiel. It's the standard 3 Chords & the Truth spiel: We've subcultured ourselves to death. Almost literally. In the radio sense, that's a boring thing. Do you like just one kind of music? Do you only want to know anything about one kind of music . . . or about only one tiny, tiny segment of the population that looks suspiciously a lot like yourself? I didn't think so. If you were that unbelievably narrow of taste and of mind, you wouldn't be here. The Big Show is the place for the inquisitive and the easily bored. It's the place where cultures collide constantly -- as we've said this week in promoting the program. And -- again -- it's freakin' glorious. NOW, I'm not sayin', but on this edition of the show, Sinatra and Steppenwolf may well coexist on your Internet connection. Might even collide. That'd be something to hear. But I'm not sayin', you understand. I am sayin', however, that this here program is all about what radio, at its best, used to be. It's about starting there and pushing forward.